Dr. Andrew Gyorke, specializing in Diagnostic Radiology, graduated from George Washington University School of Medicine and has over 20 years of medical experience. 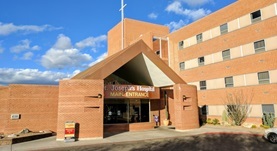 He has completed his residency at the Tufts Medical Center in New England, as well as a fellowship at the University of Utah Medical Center. 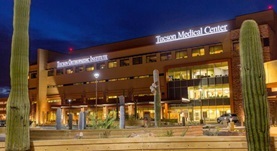 Dr. Gyorke is currently affiliated with Carondelet St. Joseph’s Hospital and TMC Tucson Medical Center in Arizona. He also has a specialty in Neuroradiology. Dr. Andrew Gyorke has contributed to 3 publications. Vertebral osteomyelitis as a cause of back pain after epidural anesthesia. Pinczower, G. R., Gyorke, A.; Anesthesiology. 1996 Jan.
MacDonald, J. D., Gyorke, A., Jacobs, J. M., Mohammad, S. F., Sunderland, P. M., Reichman, M. V.; Neurosurgery. 1994 May. Evaluation of subclavian steal with two-dimensional phase-contrast and two-dimensional time-of-flight MR angiography. Drutman, J., Gyorke, A., Davis, W. L., Turski, P. A.; AJNR Am J Neuroradiol. 1994 Oct.